Set out to this Swiss paradise and discover the lakeside charm of Lucerne. Take a scenic walking tour with a local guide to experience the romantic Old Town. Tour one of several fascinating museums and get your dose of Swiss culture. Listen to virtuosos perform stunning classical music. Or, simply relax along the waterfront as you admire the cobalt blue hue of Lake Lucerne. 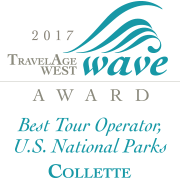 Wherever you’re compelled to explore, Collette will make your journey an easy and unforgettable one. Here are some must-see places and spaces to seek out during your time in Lucerne. Lucerne has a multitude of landmarks worth discovering. From the moving Lion Monument to the gorgeous mountain ranges and charming covered bridges, there are several markers that make the city truly unique. We recommend visiting these arresting sites while on your Swiss getaway. Witness the monument writer Mark Twain called “the most mournful and moving piece of stone in the world” and take a few hours to visit the lion monument. Feel the power of this stone piece as you look upon this intricately carved lion commemorating the Swiss Guards whose lives were lost during the French Revolution. Combining history with beauty, this is a memorable landmark many guests have enjoyed seeing while in Lucerne. Enjoy a leisurely scenic walking tour with a local guide through Lucerne’s historic Old Town. Admire the large painted murals, colorful wooden-timbered houses, and Italian Renaissance-style Town Hall, all while getting the background on this picturesque place. As you stroll down narrow side streets, you’ll come to understand the fairytale charm of Switzerland. One of Lucerne’s most iconic sites is the Kapellbrücke, or Chapel Bridge. While walking through this ancient covered bridge, look up and see more than 100 17th-century pictures hanging from the roof rafters. If you’re in Lucerne, we highly recommend making a point to visit this bridge. Revel in the beauty of this waterfront landmark and spend a day on Lake Lucerne. Whether you wish to admire the fjord-like site from the motorway or want to get out on the water by way of paddle-wheel steamer, Lake Lucerne is an aquatic paradise. Lucerne has a vibrant arts and culture scene. From world-renowned art collections to a dizzying display of transport and mobility-related items, you’ll find there’s a range of intriguing museums in this city. Here are some top picks we think you should check out. See a multitude of great pieces from the daring Pablo Picasso juxtaposed with the famous Swiss artistic luminary, Paul Klee. Learn of the museum’s founder, Angela Rosengart, and her friendship with Picasso as you explore several floors of remarkable work. This is considered a great gem among Lucerne’s collection of museums. Witness the awe-inspiring circular painting depicting Switzerland’s claim to fame as a place of peace and neutrality. Learn the multi-faceted story of the Bourbaki Panorama and take a moment to visit the museum's accompanying state-of-the-art exhibition and film. For a glimpse into the rich history of the Swiss people, this is a must-see site. Learn about the storied German composer, Richard Wagner, and his major contributions to opera in the 19th century as you tour his lakeside home in Lucerne. Visitors will most likely recall one of his famous tunes, the Bridal Chorus, a frequently played song that many brides have used to walk down the aisle. For a look in to this notable composer’s life, take a quick trip here. See more 3,000 objects relating to the fascinating world of transportation. As you tour Lucerne’s most popular museum, you’ll get a better understanding of the ways people have learned to navigate by air, land, and sea. For hands-on fun, we think this is a great museum to visit. Lucerne is known as a mecca for fans of classical music. Every summer, the city plays host to one of the most revered classical music festivals known around the globe. Discover the musical mark Lucerne has made and take a tour of these sites. If you happen to be touring this city in the summer and appreciate classical music, you should consider this festival. Taking in the best of the best in classical music, the annual Lucerne Music Festival is a veritable who’s who of artists, composers, and conductors. We highly recommend attending this festival. Referred to as a cultural beacon in the center of the city, this concert hall has provided the stage for some of the most stunning musical acts. If you visit Lucerne during winter, spring, or fall and can’t attend the Lucerne Music Festival, we suggest visiting this venue, as there’s almost always a stellar performer here. Hear the traditional roots of Swiss music and enjoy a rousing night at the Stadtkeller music hall and restaurant. Grab a pint and sway to the sounds of yodelers and alphorns. If you’re lucky, you may even be asked to take part in the tradition of flag throwing! Sip on a delicious cocktail and enjoy the cozy atmosphere of the Louis Bar, all while listening to some great live jazz or soul. Located within the opulent Montana Art Deco Hotel, the Louis Bar is a great way to get a taste of Switzerland’s nightlife. Be sure to try one of the hundreds of fine Scottish whisky Malts.